Difficult roads lead to beautiful destinations , this is the axiom that we at Muni Seva Ashram strongly believe in. Our journey is full of such difficult roads that have today moulded us into an institution dedicated to serving humanity and enriching lives with the best possible means. It was the year 1978, when our founder, Anuben Thakkar, ventured into a virtually uncharted territory with nothing but divine inspiration from her Guru, Muni Maharaj. She set up a small hut at Goraj, with the noble vision to serve the local tribal communities with proper health, and education facilities. She began by inviting children of tribal communities to come and play at the shelter. With persistent endeavors, she won the trust of the locals, who then began thronging the small shelter to avail basic facilities of treatment and education. 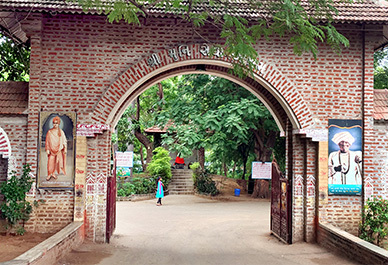 Anuben's divine foresight was swiftly taking shape and the small set-up the middle of undeveloped Goraj, was reborn as Muni Seva Ashram, a place where human lives found care and comfort, regardless of their origin. 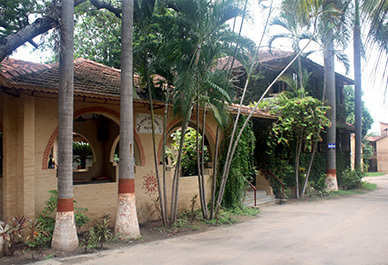 The Ashram had just begun its journey when Anuben was introduced to young Dr. Vikram Patel. As a fledgling medical student, Dr. Vikram eagerly accepted to work with Anuben for the noble cause and offered to conduct weekly check-ups of children at the Ashram every Sunday. Dr. Vikram's selfless endeavors did not go unnoticed and just a year after his graduation Anuben asked him to become permanently associated with the Ashram. His once-a-week patient check-ups were now done daily at in an indoor facility equipped with patient beds. Additionally, a Pathology department was also introduced to the Ashram's newly developed medical facility. While we continued to augment our medical center, a generous donation of sewing machine was made to the Ashram that led to the initiation of an employment program for 10th pass tribal women. 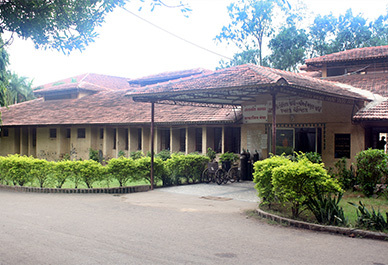 Subsequently, a school to provide basic education to girls till the 10th grade was also set-up. At every step, we were expanding, not only as a center for medical excellence but as a holistic organization that aimed to better the lives of the people it touched. Dr. Vikram's role came as a strong reckoning force to take our mother Anuben's vision of 'greater good through noble deeds' to a whole new level. Today, we are a community that is built by selfless people like Dr. Vikram. We are a self-sufficient entity, producing 90% of our requirement on campus and rely solely on the caliber and conviction of our team to drive us. From a world-class medical center, to a caring foster home, assisted living and home for mentally disabled women, we have grown leaps and bound in all facets to work towards bettering lives. After the passing of our mother Anuben, Dr. Vikram has taken it upon himself to further her dream, and continues to introduce everything that will make a positive impact on the lives of the less fortunate. Gandhiji's belief was 'be the change you wish to see in the world' and building on this belief, we continue to grow and share our joy, learning and fortune received from generous donors with those who need it.